If your organisation currently involves or wishes to involve volunteers, we can offer a bespoke package which can include support with good practice, training and help to promote your volunteer opportunities. Please see below for the services we offer. We have designed an information guide ‘Getting onto Do-it‘ to help you promote your volunteer roles to potential volunteers by putting them online on the national volunteering website www.do-it.org . We would encourage you to do this to promote your volunteering opportunities. Is your organisation or community group new to involving volunteers or are you formalising your volunteer involvement? Starting up a volunteer programme can seem quite a big piece of work and there are various things to consider. 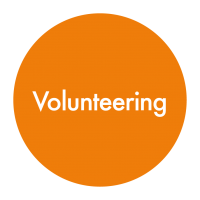 We offer a bespoke charged-for service and can provide information and advice on issues relating to volunteering to ensure that the experience is a good one for both you and your volunteers. For more information please contact Hambleton Community Action. We can offer a bespoke package to enable you to promote good practice in working with volunteers in the best possible way. This may include one to one advice on volunteering policies, training courses covering issues such as effective marketing and recruitment of volunteers, how to motivate volunteers and the support and supervision of volunteers etc. Managing and supporting volunteers can sometimes throw up difficult situations or leave you wondering what the best way to proceed may be. Whether you have queries around legal issues, support needs or other issues around volunteering, we will support you by phone or email advice, individual meetings or tailored training. To enable to you to implement good practice easily NCVO’s Knowhow Nonprofit website acts as a gateway to the world of volunteer management with links to information sheets, sample policies and a volunteer management portal. This is a fantastic resource for people managing volunteers. Hambleton Community Action’s bespoke consultancy service can provide a range of training courses covering all areas of volunteer management/ involvement. Employer supported volunteering is when an employee’s volunteering is actively supported by the volunteer(s)’s employer and can take place during work hours, as opposed to in the volunteer’s personal time. Employee Volunteering is for businesses who recognise the connection between the health of their business their employees and the well-being of the community in which they are located. Hambleton Community Action can offer innovative businesses bespoke volunteering advice and support. Having fun and adding variety to the daily work routine!